← Wow, lets kick this restoration into high gear! So, I decided to go for broke tonight and just dive in… Here’s the ridge reamer, doing its thing…. 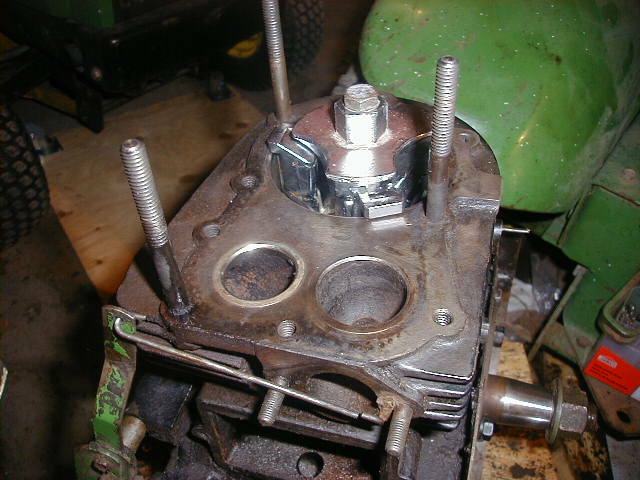 aAnd here’s the cylinder cover from the top, with the bolts removed…. The INSIDE of the cylinder cover, looking pretty good… although I didn’t really need to do anything with the oil seal… Would this mean its leaking? 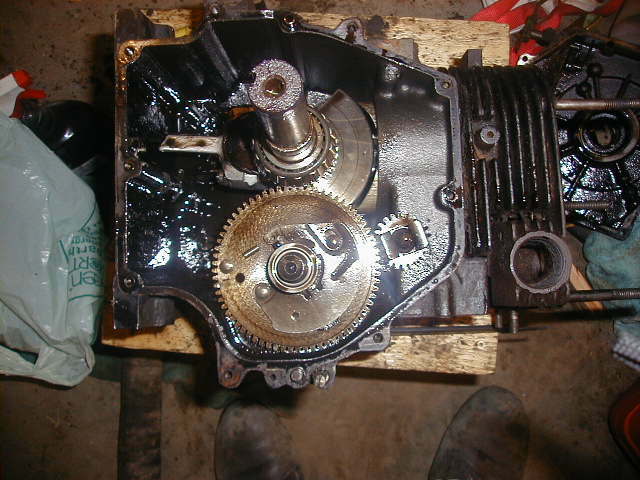 If it didn’t seem to be tight at all around the crank? 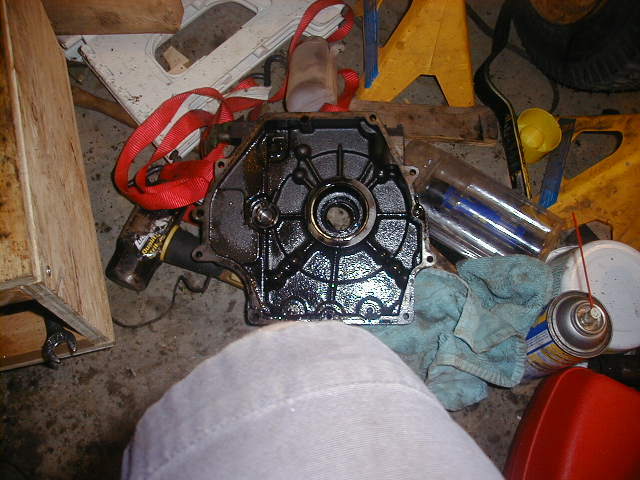 And now, the moment we’ve all been waiting for, the inside of the crankcase…. 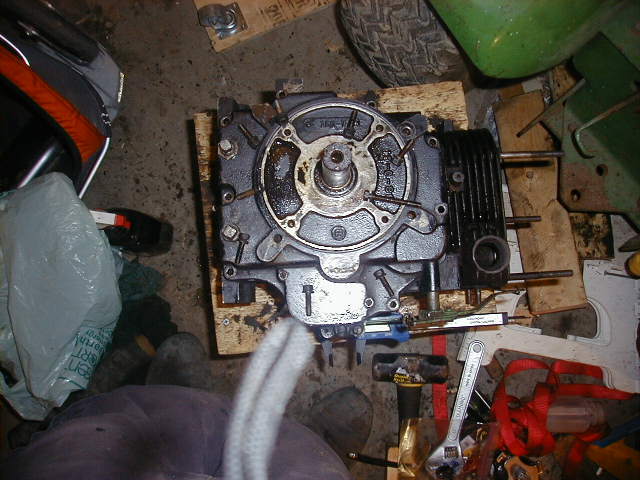 the guts…. The first time anyone has looked at this in over 20 years, possibly in over 40 years…..
What next, o loyal readers?